The newest issue of Disney twenty-three is full of adventures! 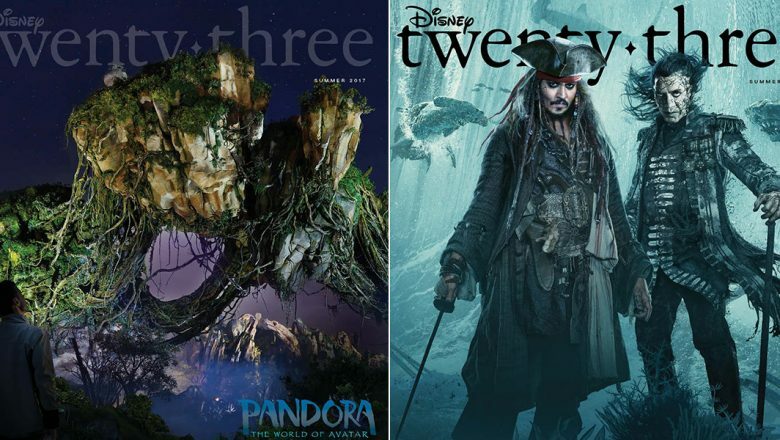 The magazine, exclusive to D23 Gold Members, features a double cover celebrating two of Disney’s most exciting summer experiences: the opening of Pandora – The World of Avatar at Walt Disney World, and the debut of Pirates of the Caribbean: Dead Men Tell No Tales. Readers will set out on a behind-the-scenes look at Pandora with the creative team responsible for this unprecedented project, including Walt Disney Imagineering’s Joe Rohde, Avatar director James Cameron, and Avatar producer Jon Landau, and meet Pirates newcomers Javier Bardem and Kaya Scodelario, who reveal what it was like to join the crew, as they set sail on an all-new adventure with Johnny Depp, Geoffrey Rush, and Orlando Bloom. 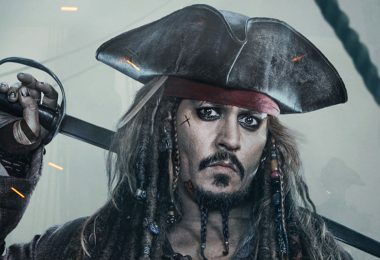 See Johnny Depp (Captain Jack Sparrow) surprise unsuspecting Pirates of the Caribbean crews at Disneyland. 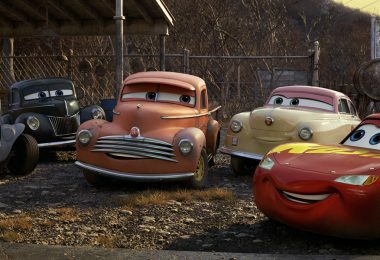 Plus, take a cruise through Cars 3 with Cristela Alonzo, take a tour of Duckburg with the creative team behind the upcoming reimagined DuckTales, and see what Thor’s been up to in an exclusive interview with Chris Hemsworth. Get a first look at the triumphant return of Fantasmic! 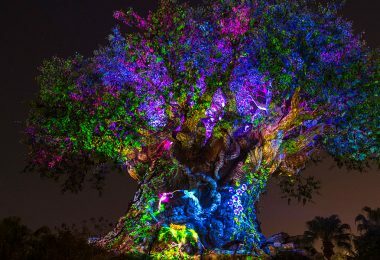 and Disneyland’s Rivers of America with Walt Disney Imagineering’s Steven Davison and Kim Irvine, and marvel over the art of Bambi in celebration of its 75th anniversary year, created by Disney Legend Tyrus Wong and other influential artists. The summer issue of Disney twenty-three will begin arriving mid-May! Learn more about D23 Gold Membership here.